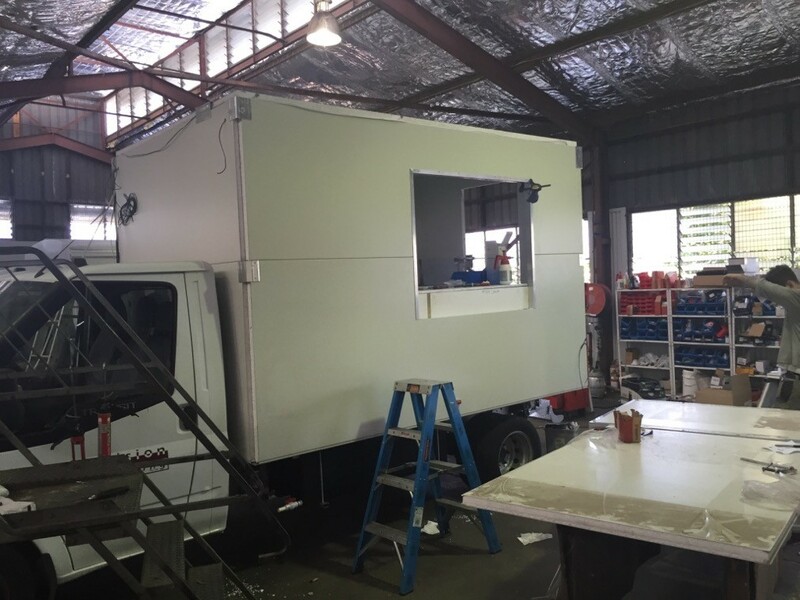 Having recently sold their pasta manufacturing business, chef Jason & his wife Kylie bought themselves a small food trailer from which to serve up their tasty delicacies at their local markets on the Sunshine Coast. 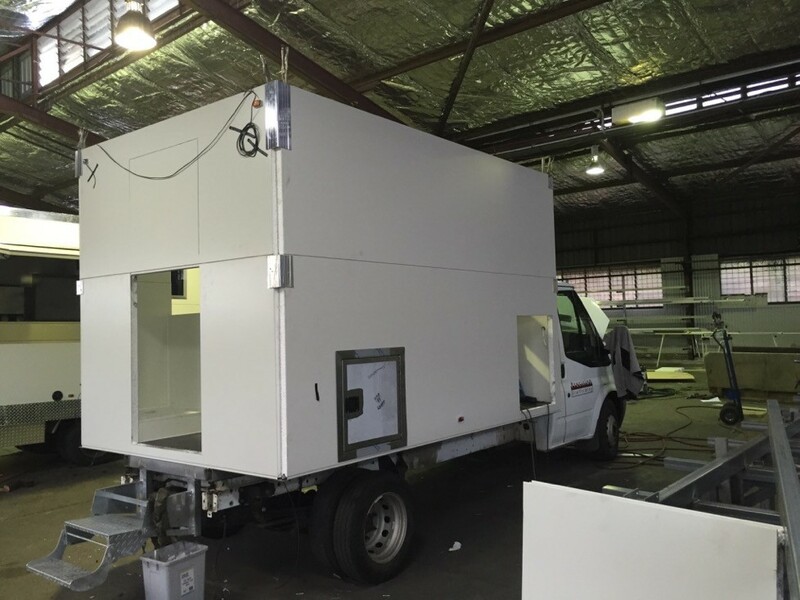 Then one day, after spotting a Van Demons built food truck at a market, Jason and Kylie decided that a food truck would indeed be the next step in spreading the word of their popular food. 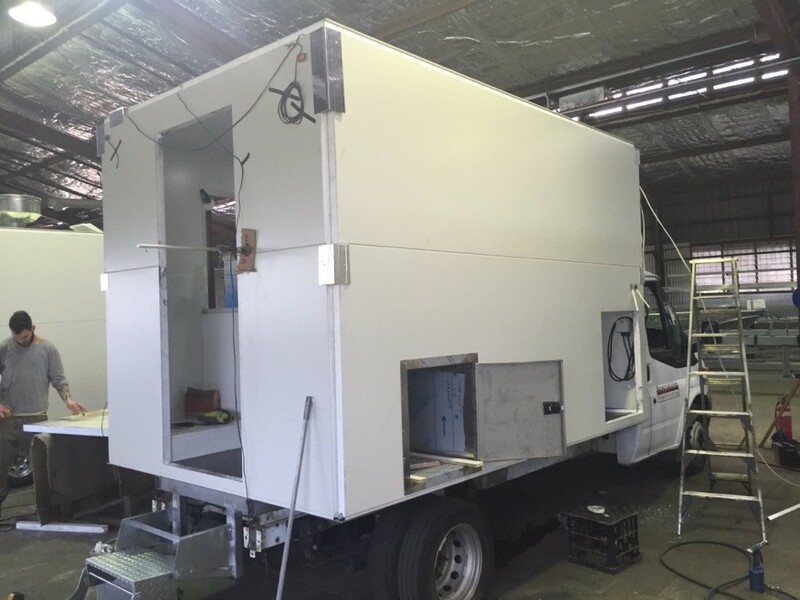 The Van Demons team helped Jason and Kylie source a suitable truck to become their new food truck – a Ford Transit light truck. 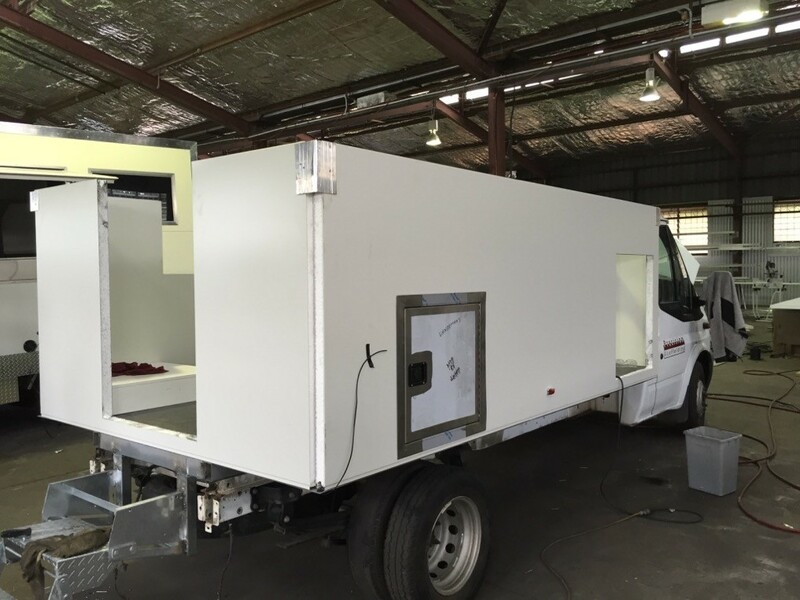 We removed the existing truck body and built a completely truck new body housing a full commercial kitchen from which Jason is now enjoying serving up his culinary delights. 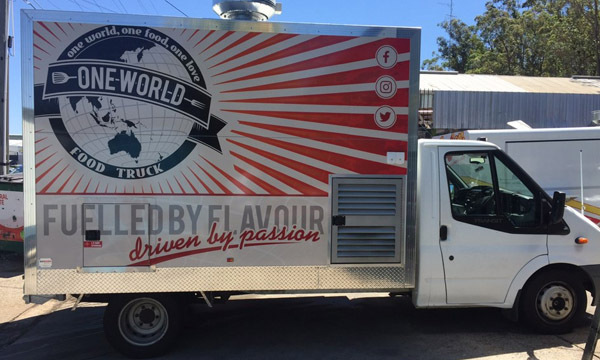 As one might expect from the name, One World serves a variety of cuisines, but with Jason’s Spanish background he does like to focus on Spanish/Latin food serving up tasty creations such as his “El Toro Loco Burger”, “Pinchitos” and “Cubano” sandwiches on homemade flatbreads and brioche buns. 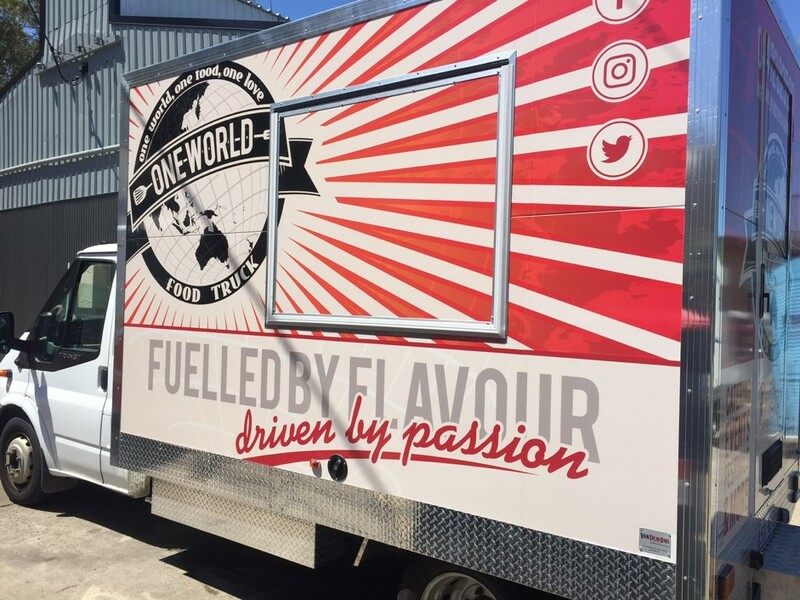 The One World Food truck motto is “fuelled by flavour and driven by passion”. I think we all know that it takes a passionate person to create good food, and these guys certainly have that in chef Jason. 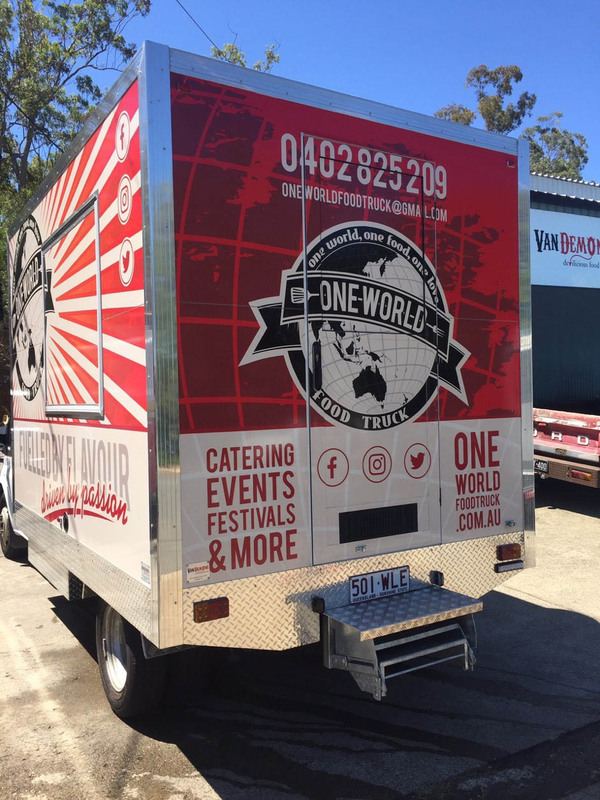 One World frequently travels between markets and pop up events on the Sunshine Coast and here in Brisbane. 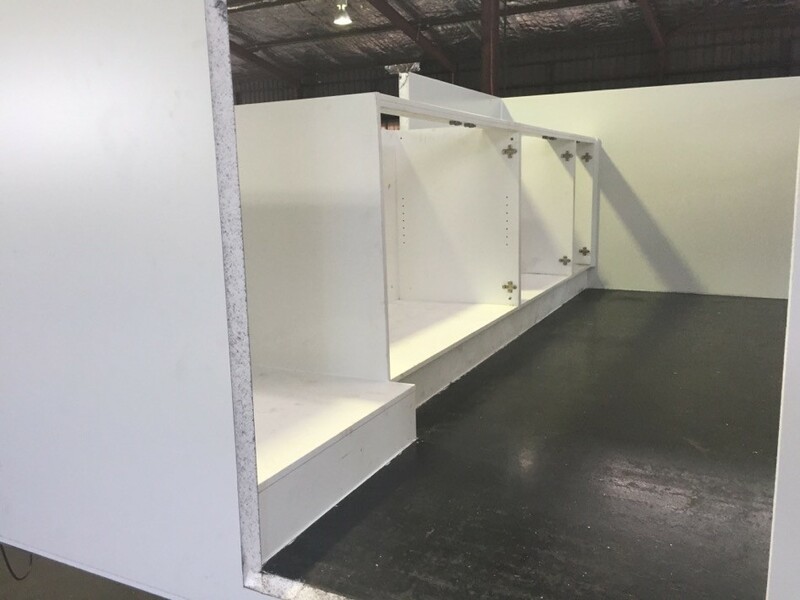 Note: Unfortunately we didn’t get any pics of this completed kitchen prior to delivery, however we did take some pics of the construction process which may be of interest to some!